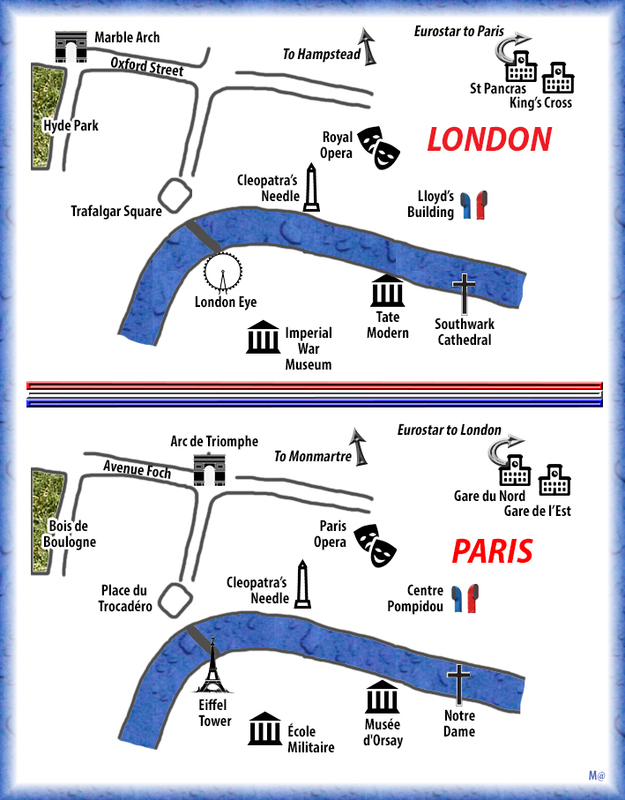 With a bit of imagination and no small amount of cherry-picking, the capitals of Britain and France can be shown as twins. A tale of one two cities, indeed. Are there any other vaguely equivalent landmarks we might add to the map? Let us know in the comments.